An estimated 40 million Americans experience speech, language, and/or hearing disorders. The second most common reason for special education services in public schools is speech/language impairment. The medical term for the perception of sound when no external sound is present is tinnitus. It is often referred to as “ringing in the ears,” although some people may hear a hissing, roaring, whistling, chirping, or clicking sound. Tinnitus may be constant or intermittent and may occur in both ears or just one. Tags: Hearing Aid, Audiology, Hearing Loss, "tinnitus"
If your child has been diagnosed with a permanent hearing loss it’s likely that hearing aids have been recommended. Hearing aids can be life-altering for your child, allowing him/her to hear sounds often miss due to hearing loss. Hearing aids that are properly fitted early on can allow your child to develop speech and language skills to reach his/her full potential. Children learn to talk by listening to those around them. The first few years of life are a critical time for speech and language development. 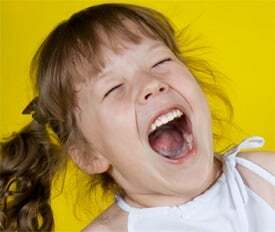 Children must be able to hear speech clearly in order to learn language. Fluctuating hearing loss due to repeated ear infections might mean the child doesn't hear consistently and may be missing out on critical speech information. Permanent hearing loss will also affect speech and language development, especially if it is not detected early. The earlier hearing loss is identified and treated, the more likely the child will develop speech and language skills on par with children who aren’t experiencing hearing issues. For most people, hearing loss occurs very gradually. The process of getting hearing aids, however, is not gradual. You walk into the audiologist's office, and a few minutes later you're hearing! It takes the brain time to get adjusted to the new sounds you'll be hearing through the hearing aids. To make the adjustment process a little easier, start with easy situations and work your way up to more difficult listening environments. Hearing loss may make conversational speech seem very soft, or may prevent a person from hearing certain speech sounds at all. This is why people with hearing loss often say they can hear people talking, but can’t understand what they’re saying. 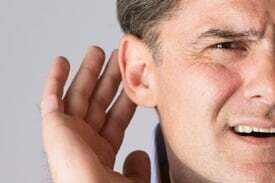 They may be able to hear some sounds, so they can hear the person’s voice, but the hearing loss is blocking out the sounds that are vital to understanding. Usually, when a person is diagnosed with a hearing loss, hearing aids are recommended. Hearing aids are designed to amplify the sounds that the person needs the most, the sounds that they are unable to hear due to the hearing loss. Unfortunately, hearing aids have limitations and will not restore hearing to normal. Hearing aids are only part of the hearing loss puzzle. The best solution to increase hearing and understanding at the same time is to pair hearing aids with effective communication strategies. 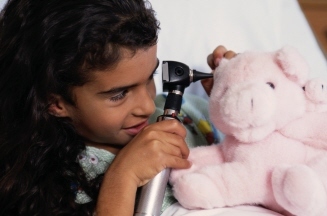 Cleveland Hearing & Speech Center audiologists are highly trained professionals. We have Doctoral and Master’s degrees in audiology and we have devoted our careers to helping you hear better. At CHSC, We believe that life is improved by successful communication. We are dedicated to helping people hear better so they can fully enjoy the people and activities that bring meaning to each day. Your Cleveland Hearing & Speech Center (CHSC) audiologist can place an order for your hearing aids. Before you can order a hearing aid, you must have your hearing tested. Once this testing is done, you should talk with your audiologist to decide which hearing aids are best for you, your hearing loss, and your lifestyle. Next, the audiologist will take an impression of your ear. During this process, she will put a putty-like material in your ear for about five to ten minutes. This material will harden to the shape of your ear so the hearing aid company can make your custom hearing aid. 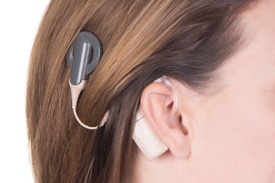 Hearing aids and cochlear implants are both electronic devices that help improve hearing. How they do that is what makes them very different. A cochlear implant is a small, surgically implanted electronic device that can help to provide access to sound to people with severe to profound hearing loss and those who cannot hear or understand speech with hearing aids. While hearing aids make sound louder, cochlear implants directly stimulate the nerve fibers in the inner ear (cochlea). An implant does not create normal hearing; instead, under the appropriate conditions, it can give a deaf individual useful auditory understanding of speech and environmental sounds.